Nigel Bond rolled back the years in Hyderabad at the Indian Open, to reach his first ranking event semi-final in 14 years. On his return we caught up with him to discuss his goals for the rest of the season and his recent coaching work in Sheffield. Nigel, congratulations on a great run in India. How much of a buzz was it to be competing in the latter stages of a ranking event again? How much confidence does this run give you going forward? “Well actually, my performance in the World Championship qualifiers gave me confidence going into this season. I played really well and was unfortunate to run into Ding Junhui, who went on to reach the final. You’re involved in coaching at the recently formed Victoria’s Snooker Academy in Sheffield. Can you tell us a bit about your role and how it has helped your own game? “I was really keen to go out to China and do some coaching. I had a word with an agent called Victoria Shi and she mentioned she was setting up her own academy to cater for all the Chinese and UK guys coming through. I don’t know if the coaching itself has helped my game. However, as a professional you understand the mechanics of the sport and it is nice to pass that on. When you’re younger you tend to build your game naturally, but there is more to it than that. The natural way is obviously the right way, but there are things you can pick up on. We’re seeing an increasing number of players performing well into their 40s and 50s. Alan McManus reached the semi-finals at the World Championship, as did Darren Morgan in Riga and yourself in India. Why do you think this is? There’s also been a large number of first time winners in recent years. 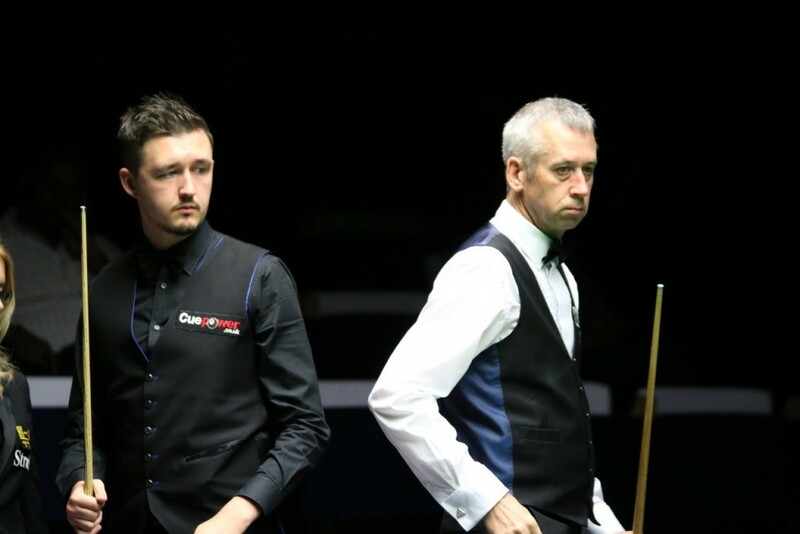 We saw two up and coming stars in Anthony McGill and Kyren Wilson in the final this week. Do you think that having more tournaments and flat draws gives younger players more of a chance to break through?